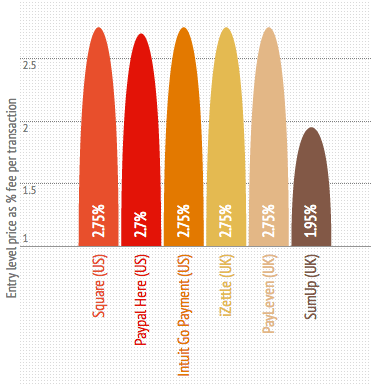 I took a look at mobile payments space and specifically, offerings from Square and Paypal in the US and iZettle, Payleven, SumUp in Europe. Here’s what I found. 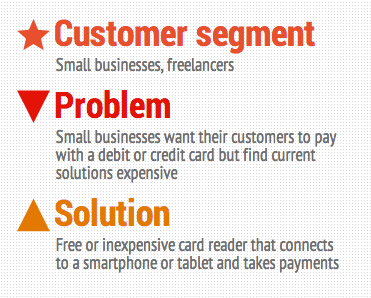 Firstly, they have similar business models. Secondly, all of these companies have deep pockets. 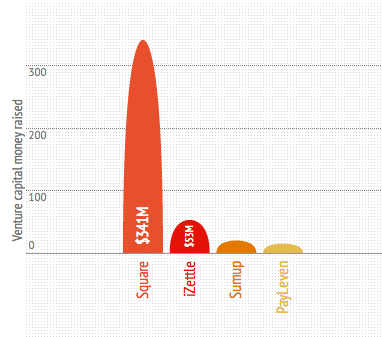 Thirdly, all of these companies are rapidly expanding. 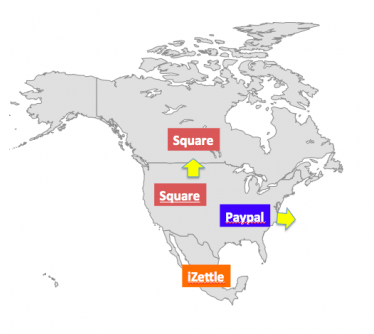 Square and Paypal started from US. iZettle was founded in Sweden. 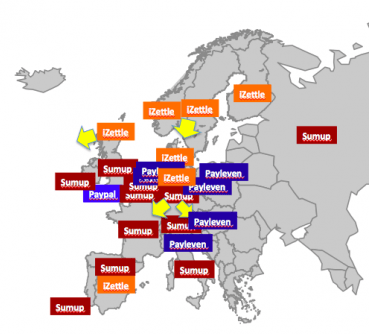 SumUp and Payleven were founded in Germany. Update 27.01.14: I assume below that “entry-level” customers are small businesses or free-lancers with low volume of payment transactions who would want to try the card readers on a no commitment or contractual basis. Fourthly, until now, these companies had priced their product in a similar way for entry-level customers. However recently, SumUp dropped its entry-level price which led some to speculate if a price war was looming. What happens next? Let me try and guess. Rapid international expansion will continue. New players like banks will enter this space. New partnerships will be forged and new teething issues faced. Increased competition and pricing pressures will squeeze margins. So some players will strengthen their product proposition. I believe execution will be key. Players with effective sales, targeted marketing, and strong logistics will gain scale and look to consolidate. So what do you think of monitize?